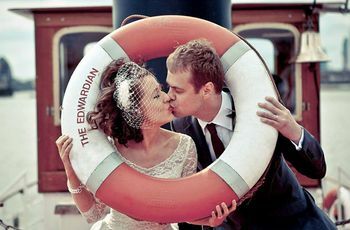 7 Epic Sporting Wedding Venues in London | Wedding Tips ARE YOU A SUPPLIER? Want to show off your love for football, rugby or rowing on your wedding day? Here are a few epic sporting wedding venues in London worth looking into. If you and your partner are total sports fans, a football, athletic or rowing club is probably the perfect place to celebrate your wedding. 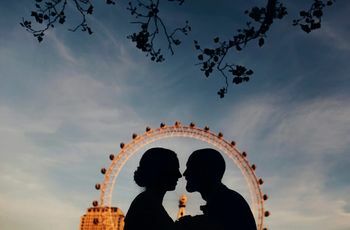 Lucky for you, London is brimming with sporting wedding venues where you can say your ‘I dos’ and party the night away in a club atmosphere or with a pitch in sight. P.S. these are awesome locations for couples looking for a large wedding venue that can hold hundreds of wedding guests (even if you don’t love the game). 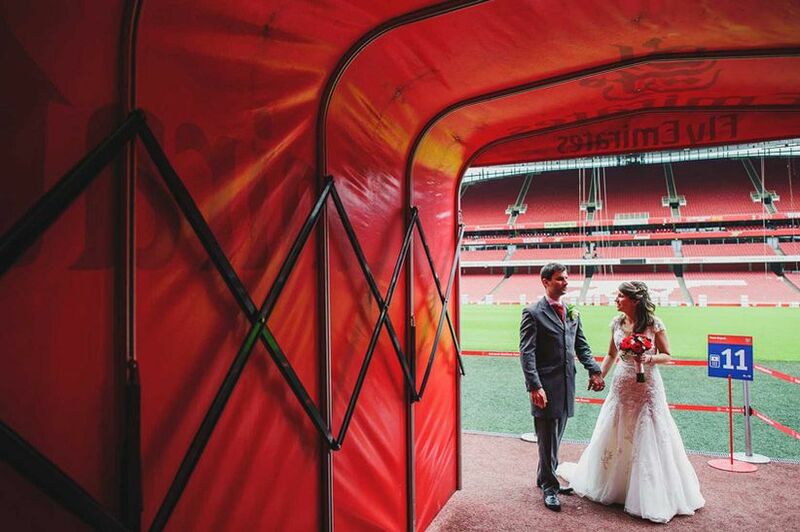 Here are a few epic sporting wedding venues in London. If you hail from Islington, the Arsenal Football Club (AKA Emirates Stadium) is one worth looking into. All of its wedding packages include a wedding coordinator, a menu tasting, signage, linens and an events team, which will make putting together your wedding a cinch. It has several suites available for celebrations and can host smaller events with 80 guests and massive weddings with 600 people, so you’re sure to find a space that fits the size of your guest list. Looking for a sporting wedding venue in the Selhurst area? Well, Selhurst Park, home to the Crystal Palace Football Club, may be “the one”. 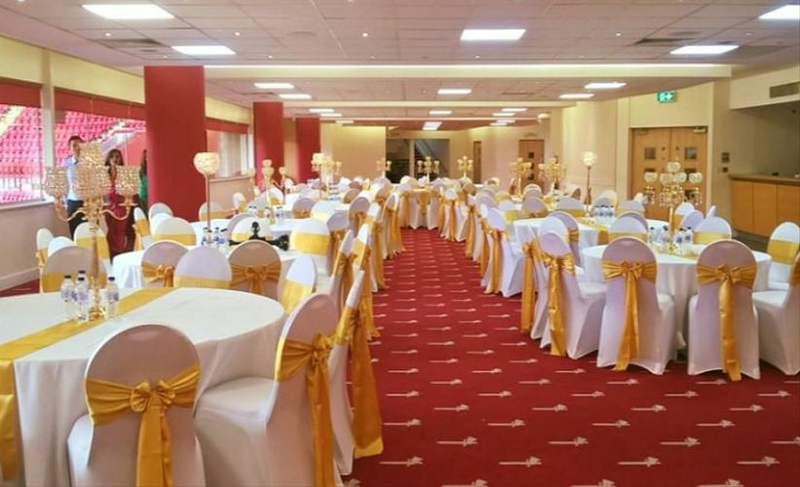 It has three unique event spaces available for hire: Seroni’s (which has a capacity of 250 guests), the Stanley Stephenson Lounge (which has a capacity of 200 guests), the Coppell 2010 room (which has a capacity of 60 guests). All of them are decked out with modern, elegant decor and have plenty of wedding potential, so you really can’t go wrong. 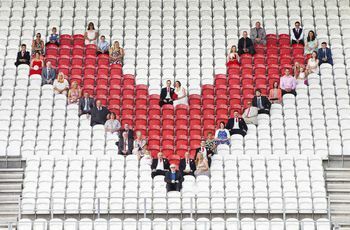 For those who call South-West London home, Twickenham Stadium may be the sporting wedding venue for you. Head past the pitch and you’ll find a few contemporary suites that make for awesome celebration spaces (some even offer views onto the stadium). Its largest space can fit up to 750 guests, so you should have no trouble fitting your friends, family members, colleagues and more. 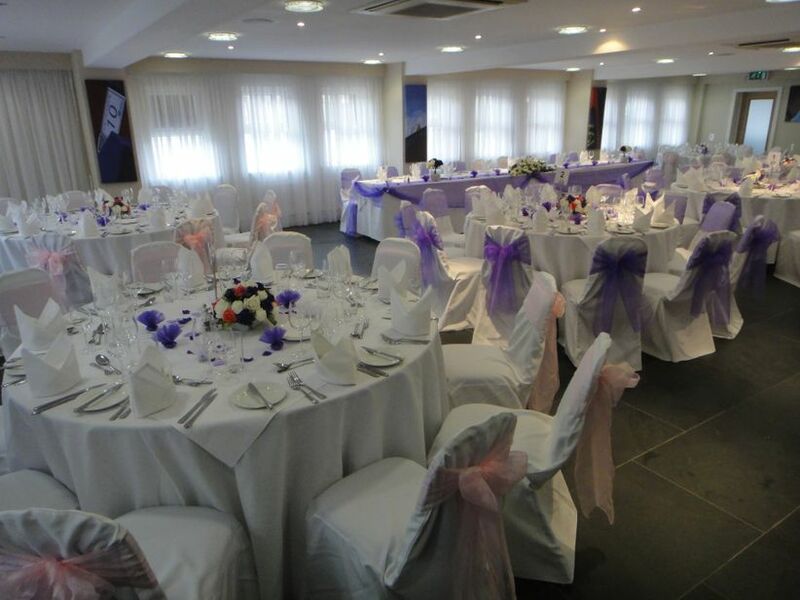 The Charlton Athletic Football Club is a beautiful sporting wedding venue in South-East London. 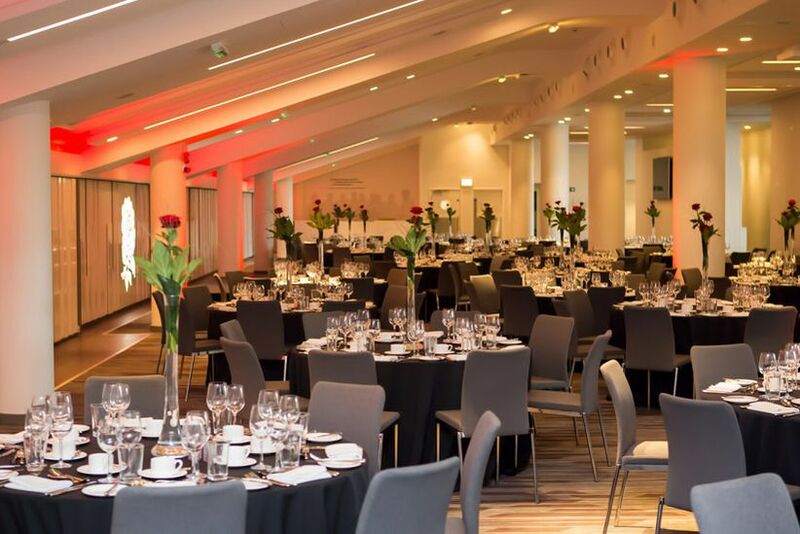 Its largest function rooms, the North Stand and Millenium Suite, offer amazing views of the pitch, and what major football fan wouldn’t want that? As for style, the interior as a red and white theme, so you won’t have to spend hours humming and hawing over a colour scheme. For events, it has a capacity of 450 guests, so you have a lot of wiggle room when it comes to your guest list. 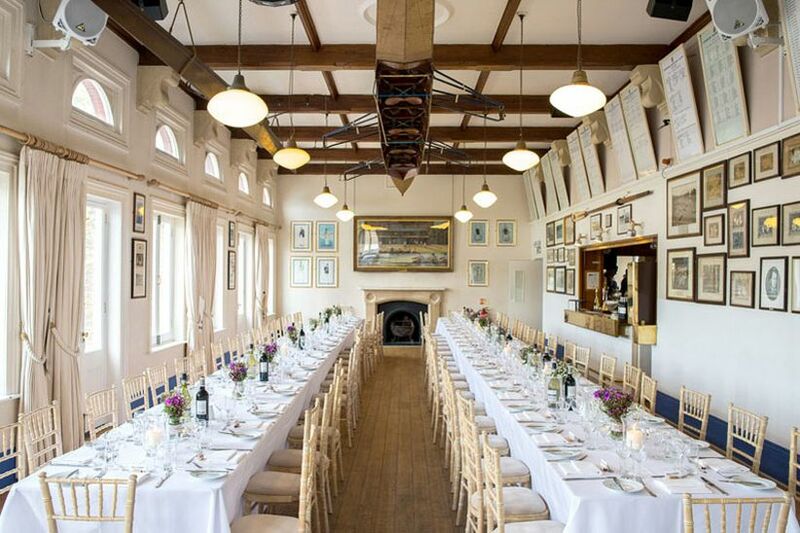 If water sports are more up your street, the London Rowing Club is worth scouting out. It was built in 1863 and was the first club house on Putney Embankment. 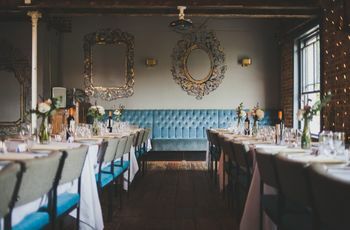 The venue has three rooms available for celebrations: the Long Room (which can accommodate up to 100 guests for a seated meal), the Members Room (which can accommodate up to 20 guests, best for intimate receptions) and the Fairbairn Room (which has an adjoining balcony and can be used for a cocktail reception space). 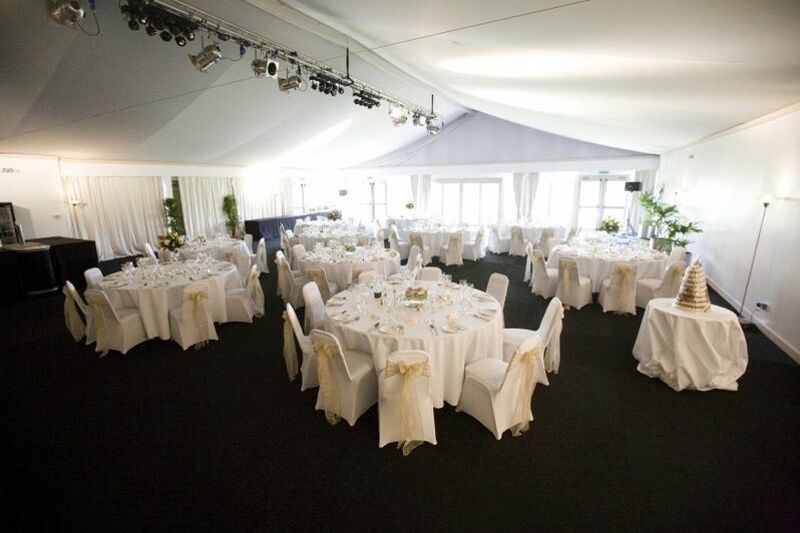 If the rooms are used in combination, the venue can fit up to 250 guests. 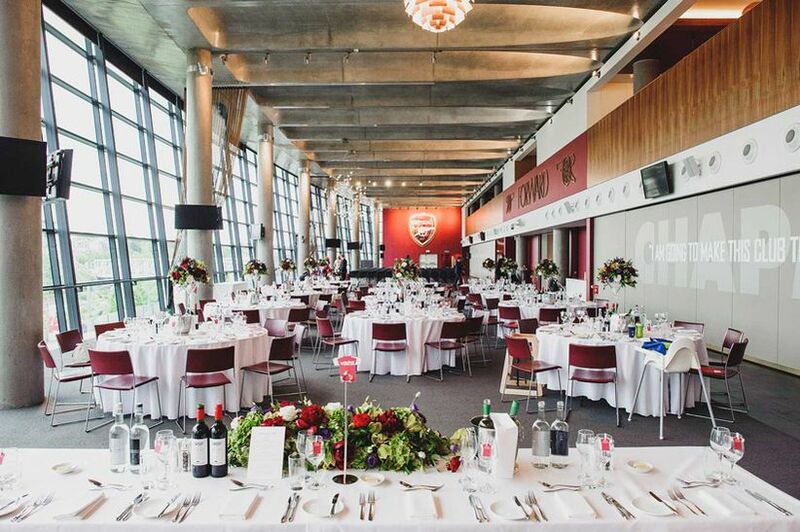 Listen up Rugby fans, we’ve got a London wedding venue that’ll show off your love of the game and look extra elegant while doing so. 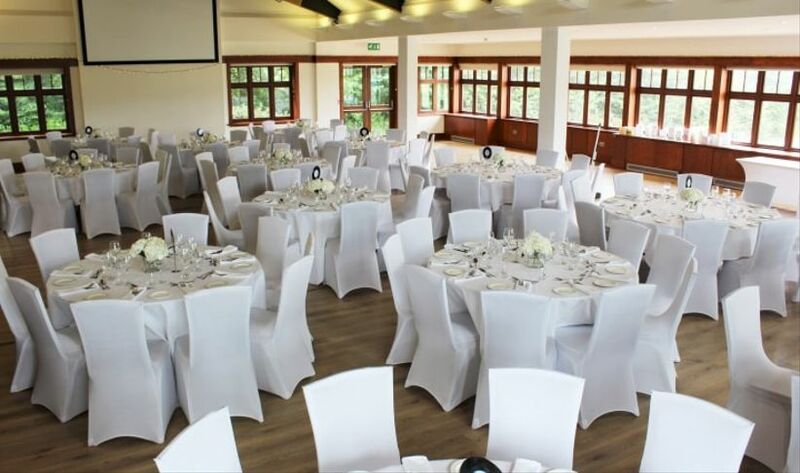 Trailfinders Sports Club is set among 18 acres of beautifully manicured grounds at Vallis Way, West Ealing (giving you some sweet nature-filled wedding photo backdrops to choose from). The event rooms here have exposed wooden beamwork and wooden accents, making it great for a shabby-chic, rustic wedding theme. It can accommodate anywhere from 50 to 250 guests, so you can make it work for the size of your guest list, big or small. The Bank of England Sports Centre is another sporting wedding venue in London that’s well worth checking out. It’s nestled in a 32 acre estate near Richmond Park and has been in business for over a century (proving that it stands the test of time). It has a number of spaces licensed for ceremonies, the largest of which can accommodate up to 190 guests. If you’re looking to host a larger reception, you can move your party out to a marquee tent on the lawn where the capacity is 250.